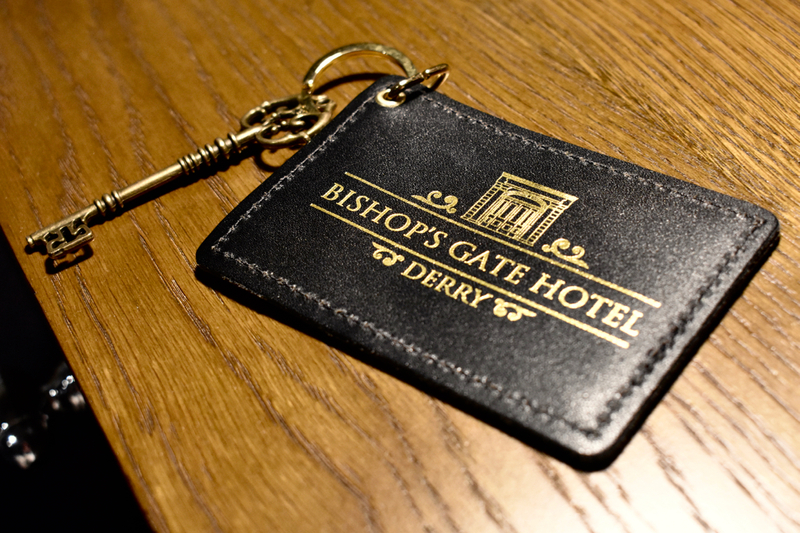 Ideally located within the beautifully in-tact original Derry City Walls just inside the northern gate, the Bishop’s Gate Hotel is the ideal spot to rest your head on a trip to Derry. 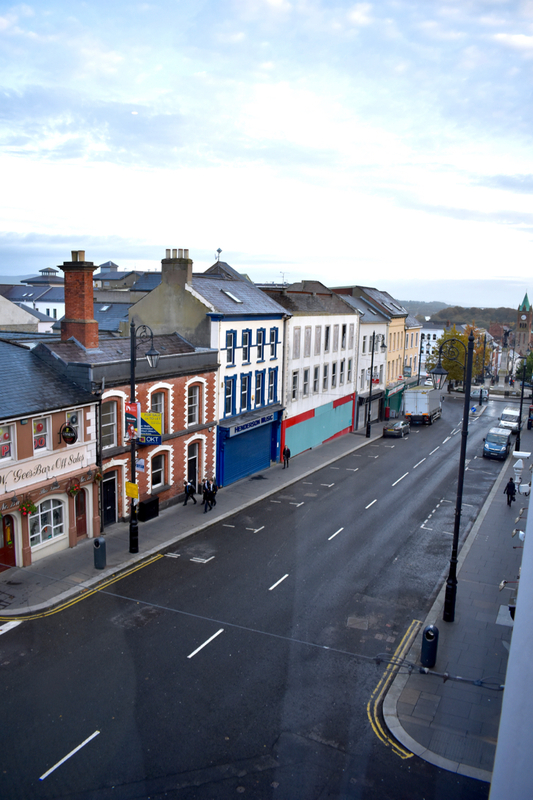 A stone’s throw from the courthouse area (and a big public car park, if you arrive on wheels) and just up the hill from the Guildhall and city centre of Derry, the Bishop’s Gate Hotel opened in March 2016 after a multi-million pound renovation after laying bare and run-down for over a decade. Now, it’s a plush four-star hotel that’s pristine, perfectly-sized and comfortably luxurious, restoring it to its former glory. 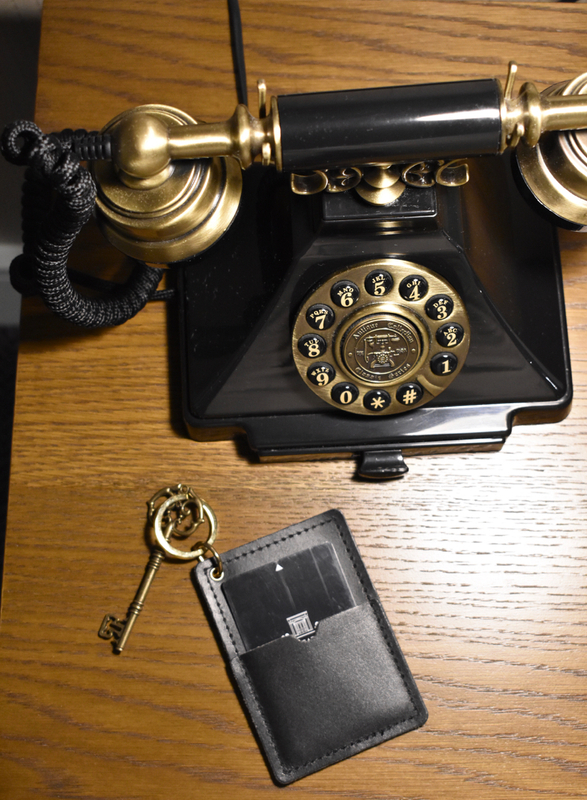 The Edwardian-styled B1-listed building dates back to 1899 and there are nods in the decor to the site’s history from the moment you step through the restored brass and mahogany revolving door surroundings. 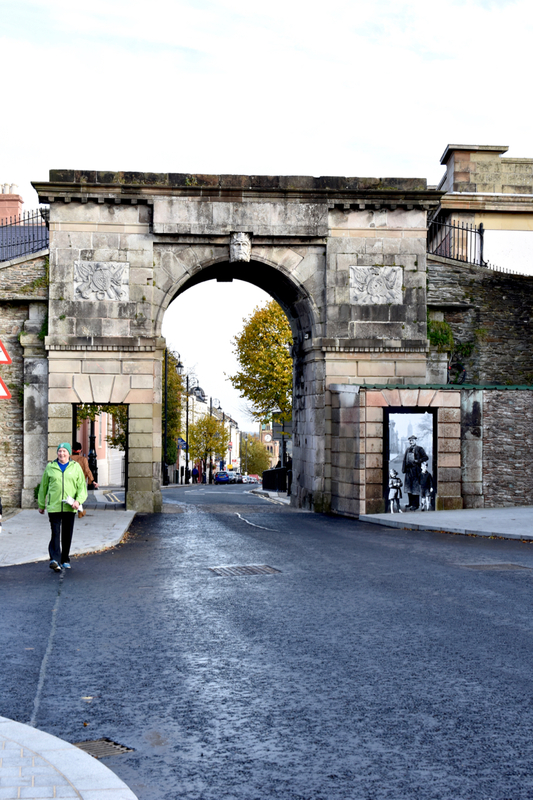 Historically one of the most important streets in the country, this location has strong ties to judiciary, clergy and military. A former gentleman’s club, most of the building’s original features – sweeping staircase, Inglenook fireplace, decorative panelling and mouldings – have been either retained or restored. Greeted by the Bishop’s Gate Hotel’s award-winning receptionist Stephanie McSparron with a beaming smile and warm, friendly chit-chat we felt right at home. It’s clear to see why she’s already been recognised for service in the short few months that the hotel has been in operation; a credit to the company! 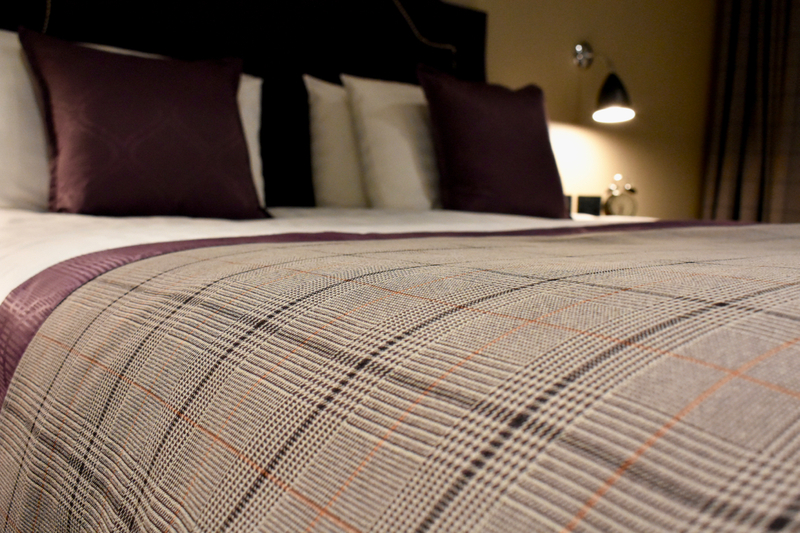 The rooms mix comfort and style effortlessly, our junior suite’s large windows looked out over Bishop Street Within, allowing light to pour in all morning long – a fact we couldn’t really appreciate as when we arrived it was 4pm on a late October night, so already pitch black outside! 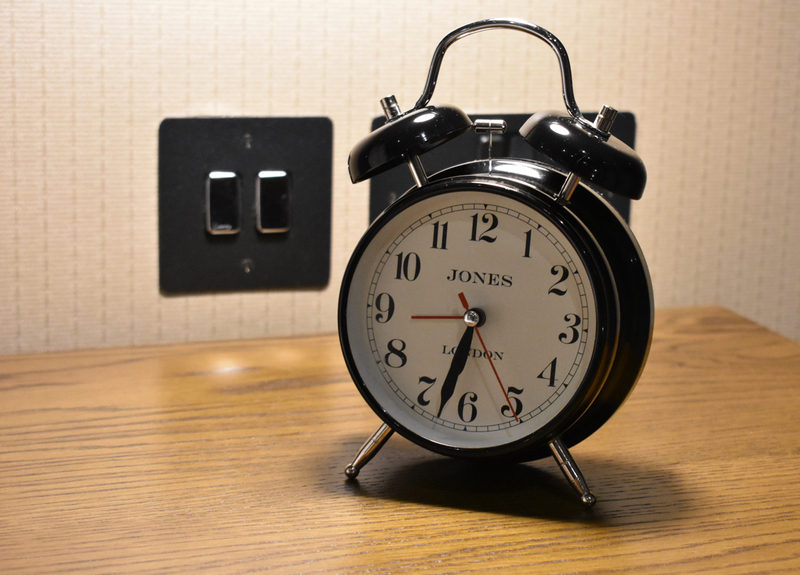 Of course, if you wanted an uninterrupted long lie-in, rest assured the curtains are heavy and keep the light out. 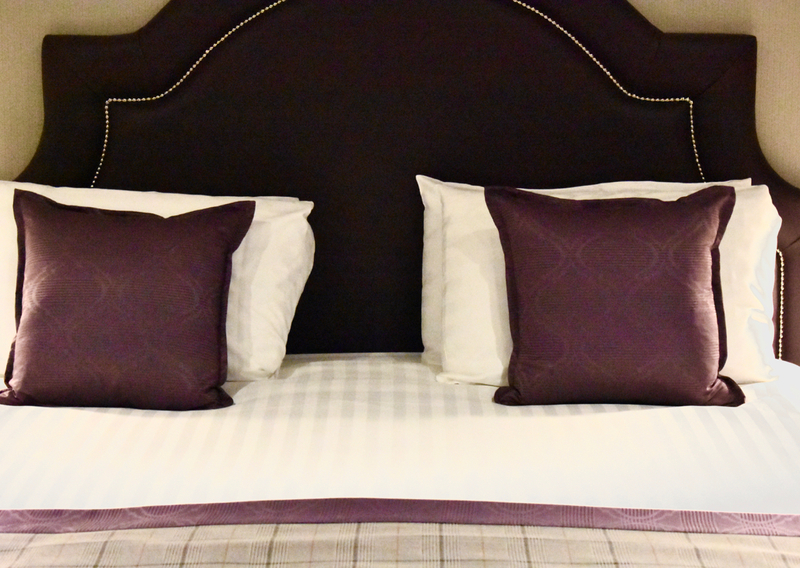 We were devastated to only be staying one night as the bed was incredibly comfortable with really thick high-quality cotton sheets and cloud-like pillows. 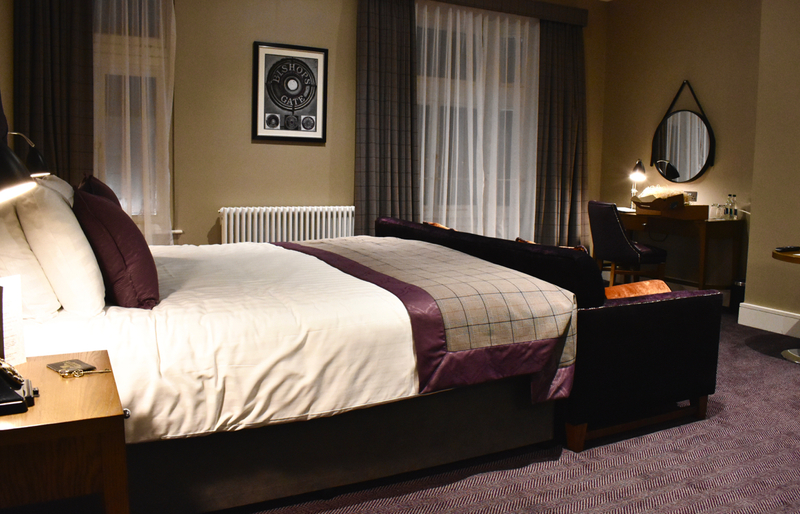 The colours of the rooms, we were told, are reflective of the Edwardian heritage of the hotel with mossy greens, dove greys, rich plum and glinting gold accents. 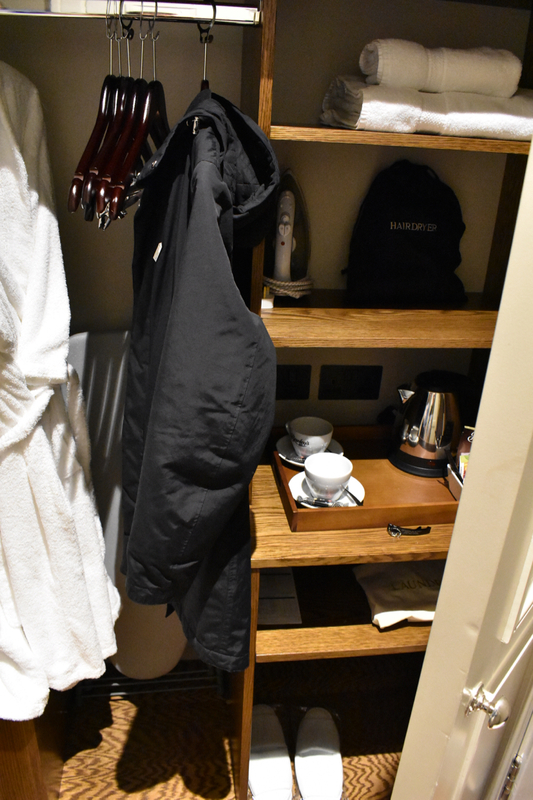 There was a large table to work at in the room, a huge flat-screen SMART TV and all those niggly bits like hangers, extra towels or bedding and the tea and coffee-making facilities – essential for us pair! – are all handily packed away in a wardrobe with heavy doors, perfectly hidden from sight. There was even fluffy robes and slippers, which we didn’t even get to try out as our stay was so short! 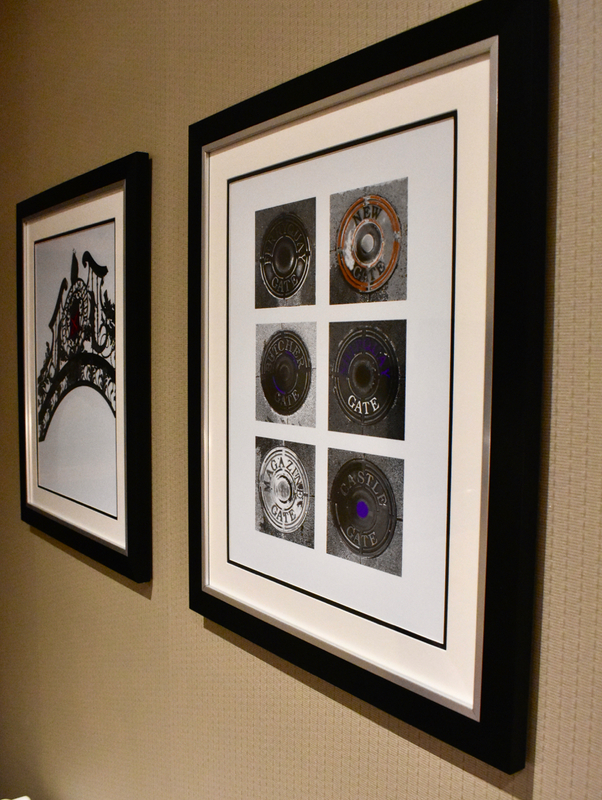 A mark of a good hotel room is its bathroom, we think. 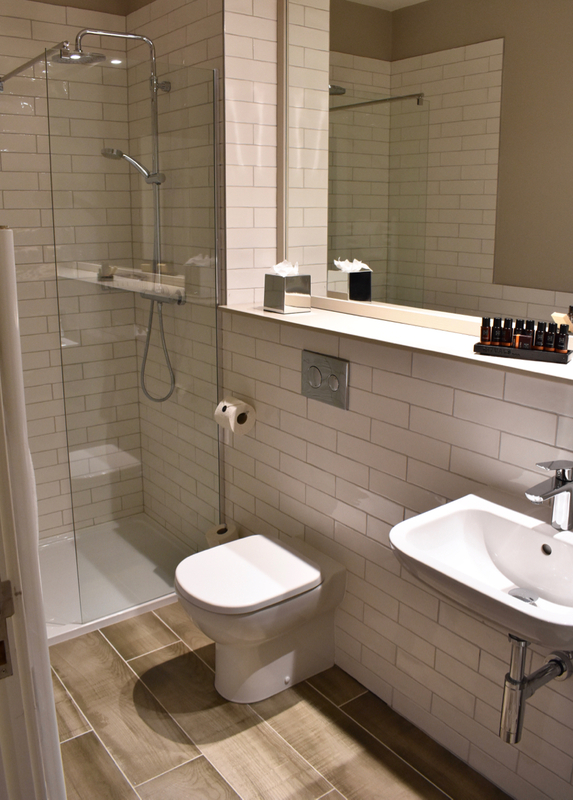 Spacious but not intimidating; hot, powerful shower; and nice toiletries chosen with precision. Is that too much to ask of every hotel? Seemingly it is, but Bishop’s Gate Hotel in Derry ticked off each one effortlessly. 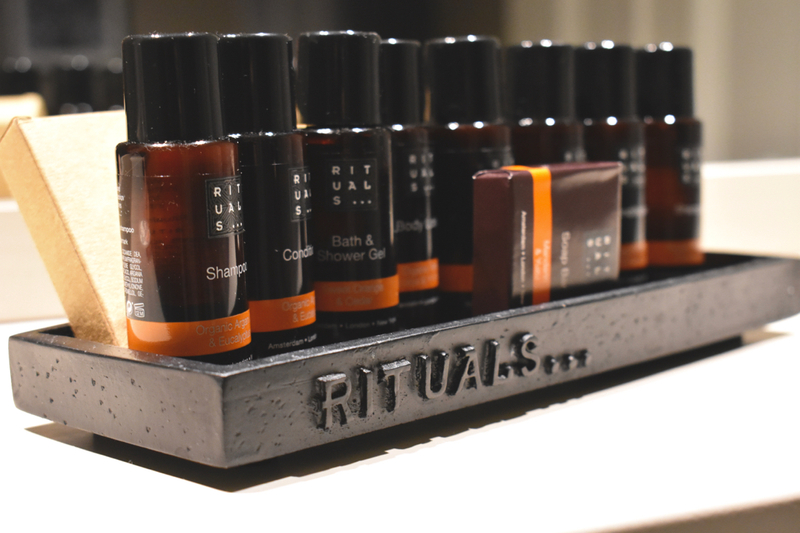 We loved the Rituals products so much (they had a gentle tingling eucalyptus in them) that we invested in the same products for ourselves when we got back to London! 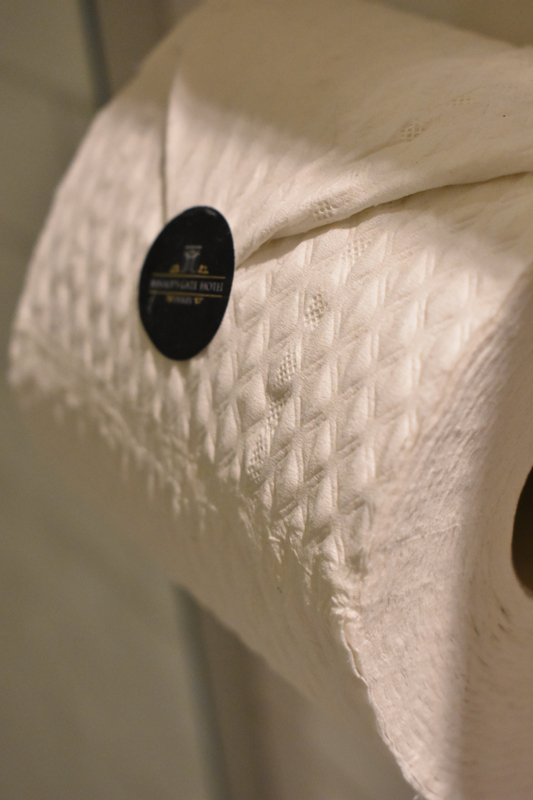 How many times can you say that a hotel’s toiletries made you switch your own ones at home? Rarely, we’d imagine! As we were only staying one night, after an evening spent exploring all that Derry had to offer, before the night was out we quickly stopped into the The Wig bar for a nightcap, just to try it out. 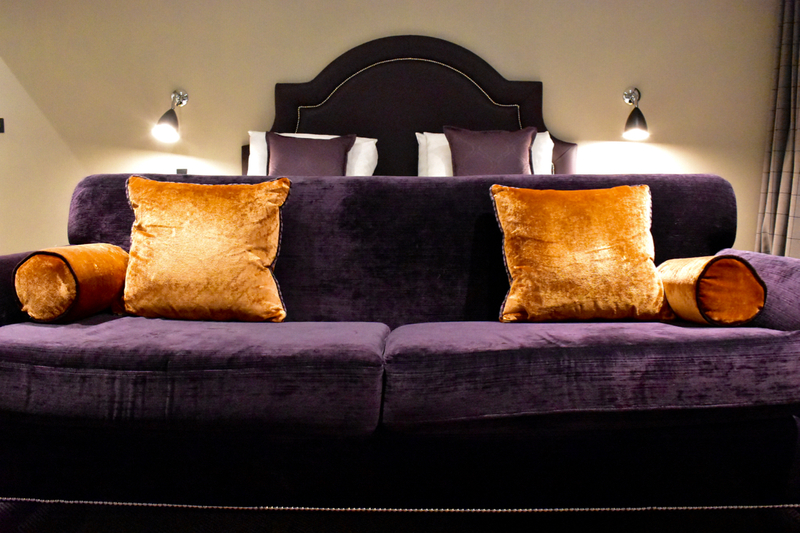 We can imagine cosy weekend evenings here by the fire with a glass of whiskey or an ice-cold pint in hand. It’s cosy with a mixture of traditional and contemporary interiors but lots of bright colour accents and detailing. It also serves food during the day – plus afternoon tea is on offer here too! 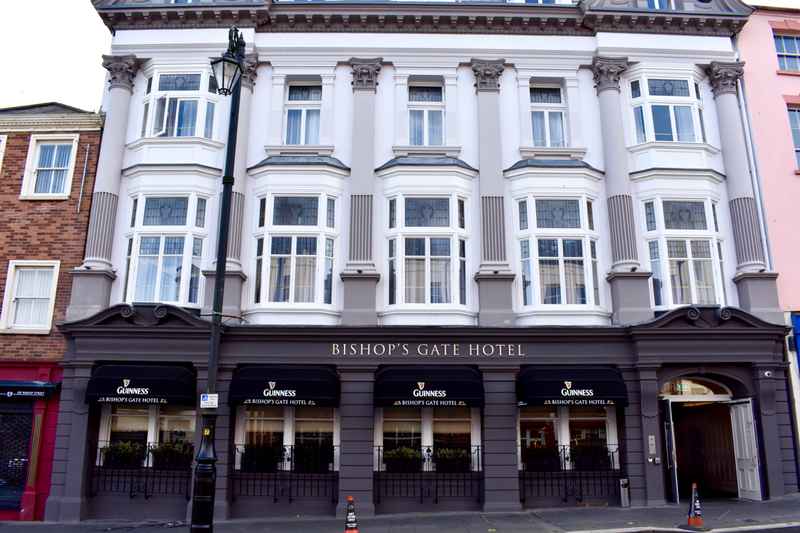 Oh, we forgot to mention, the Bishop’s Gate Hotel is also a purveyor of an exceptional Ulster Fry – no trip to NI would be worthy without sampling this cooked breakfast. 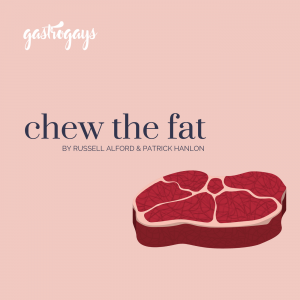 It gets top marks from us! Served in The Gown, the hotel’s restaurant, it’s table service for hot items, but there’s also a very high quality continental selection of cold breakfast items like fresh fruit, breads, meats, cheeses and juices and smoothies. 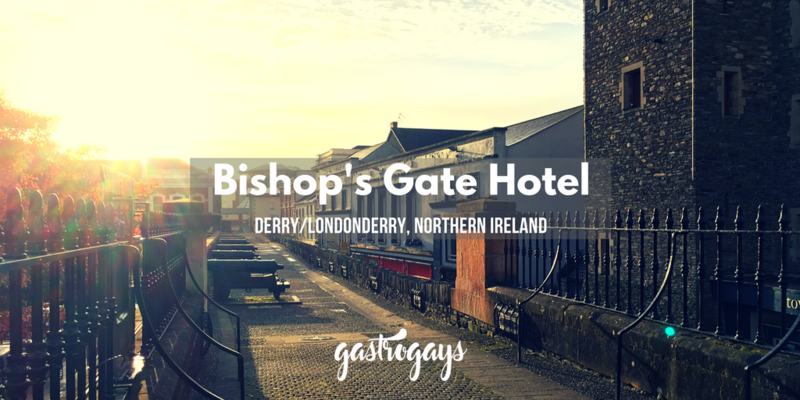 We honestly wished we could have stayed for an extra night or two to explore Derry and lap up the Bishop’s Gate Hotel more, but we were on a strict deadline as we were driving all the way from Derry to Belfast along the Causeway Coast… oh well, more the excuse to return soon! 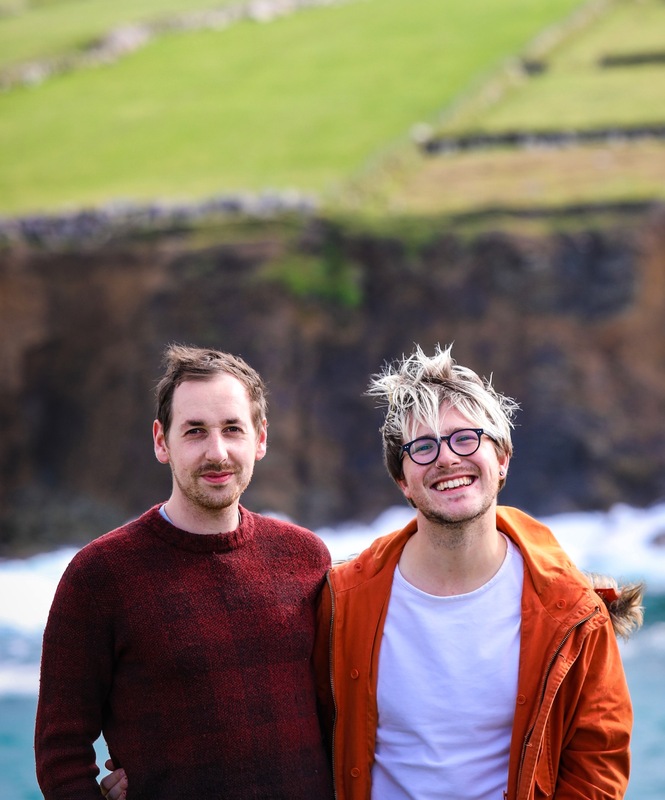 Disclaimer: We stayed at The Bishop’s Gate Hotel on a complimentary basis travelling with Tourism Ireland for a Gay Times Magazine feature. 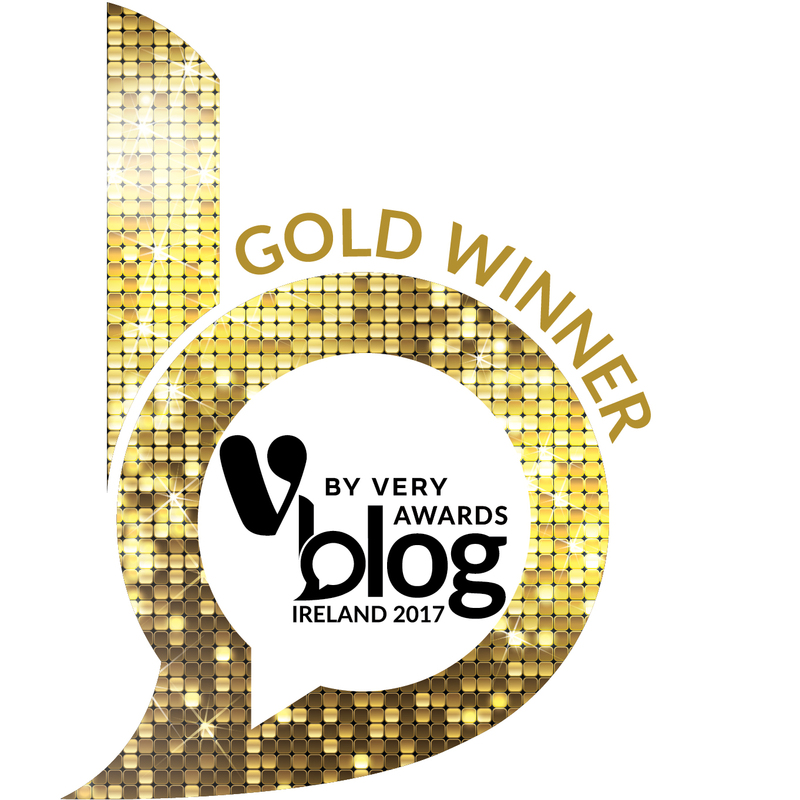 We were under no obligation to post on the blog or produce a favourable review, we simply wanted to share with our audience off our own bat.